It’s hard to write about a device when you have contradictory feelings about that device. It’s a lot easier to write when you do not like the device or when you like the device. At least for me. And this is the case with Vega. 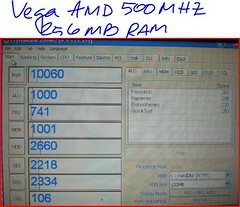 Vega has a AMD Geode LX800 CPU running at 500 MHz, Windows XP Home, 256MB of RAM, a 30GB hard disk, WiFi (no integrated), 2 USB ports, a 4.3-inch LCD and one TV over DMB. 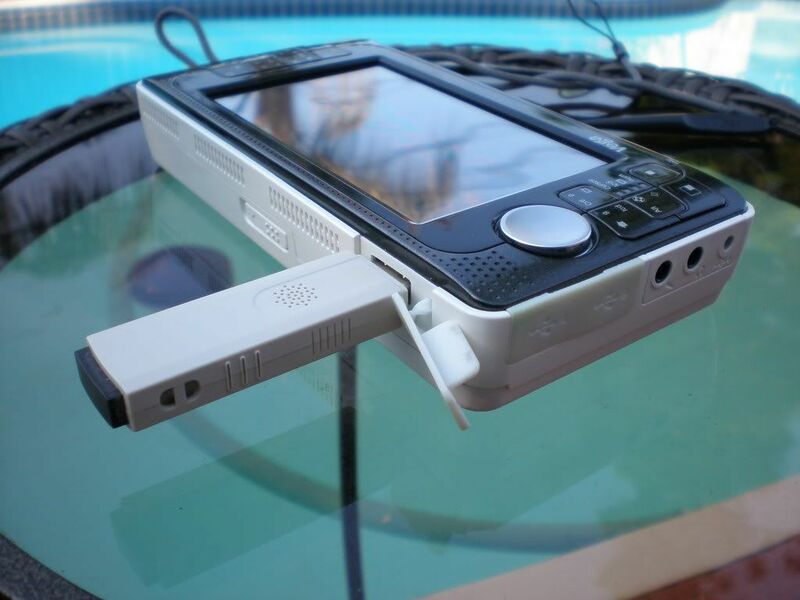 What I did like of this UMPC? The first thing I liked is the design which is very compact but comfortable to use. 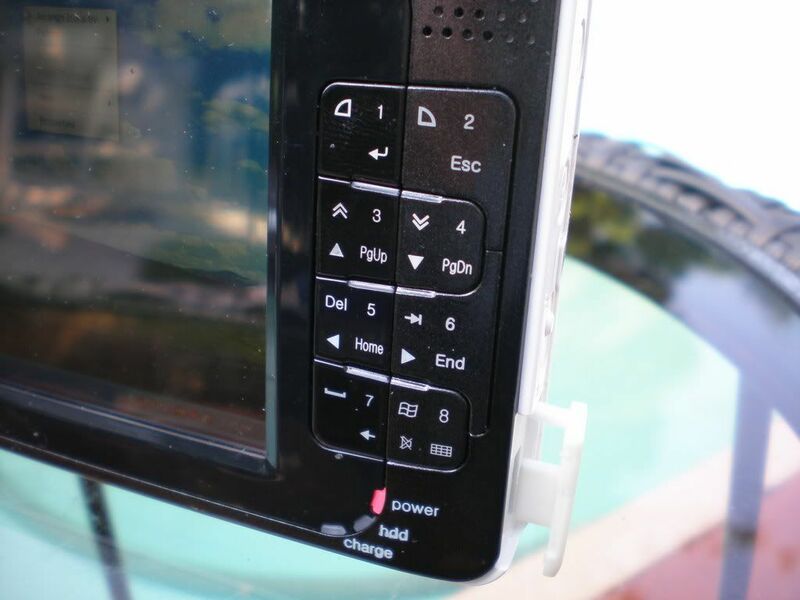 This UMPC has 13 buttons that can be used combined give you the amazing amount of 39 different functionalities. The speaker quality is good. It’s better than the one in the Amtek T700 but not as good as the ones in the Samsung Q1. Another point that I liked is that using a USB cable you can connect your Vega to any PC as an external HDD to copy files from and to it. 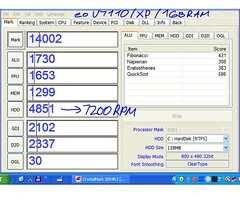 The performance of the AMD processor is not bad. I was expecting to see a very slow device and it’s not. Compared with the Amtek T700 which use a VIA processor I would say that both perform about the same even when the results of this benchmark shows the Vega being slower than the Amtek T700. Keep in mind that we are comparing in this case a machine with just 256 MB of RAM vs a machine with 1 GB and a HDD running at 7200 RPM. I played a movie and the playback was acceptable. What I did not like of Vega? First of all, the screen size. If you are planning to buy a 4.5~5 inches UMPC I really advice you to check it first. I know that the idea of having a PC in your Pocket is too tentative but you may not find it so good when you start to use it. If you need reading glasses then I can tell you right now that this device is not for you. For example, I use contact lenses and I do not need reading glasses unless the letters are too small, like the ones printed in some drug boxes. I do not need reading glasses at all to use any of the UMPC with a 7 inches display but I felt the need of my glasses using Vega. To give you another example, I use RightMark CPU Clock Utility in my Q1 to track the processor activity. In my Q1 I can read clearly the MHz and in Vega this number is very hard to read for me. Do not get me wrong, I know that many people like the 5 inches units and they do not have the problems that I have but I think that this can be a big impediment for a group of users, so if you have any eyes problems you better check this unit or any other 5 inches UMPC (no PPC, they have less resolution so you wont see this problem on them) just to be sure that you can handle this screen size. The other point that I did not like was that this unit does not have an integrated WiFi. This point is good and bad at the same time. It’s good because you can buy the best USB WiFi stick in the market and use it in your unit and when you have the WiFi integrated even when you can do the same I would consider an aggravation not to be able to use the WiFi that came integrated in the unit because of the poor quality of it. I find the fact that you have to carry the USB WiFi stick around in case you want to get connected very uncomfortable and I was worry the all time about losing it. The Stylus of Vega is the funniest and weirdest thing I have seen in this category. If anyone of you have seen how a fishing net is made manually you have to agree with me that this stylus looks like one of those needles used in this process. The stylus came with a string that can be attached to the unit. At the beginning I did not like the whole thing but once I took Vega in one of my car rides I found that having the Stylus attached to the unit using a string was a very good point. 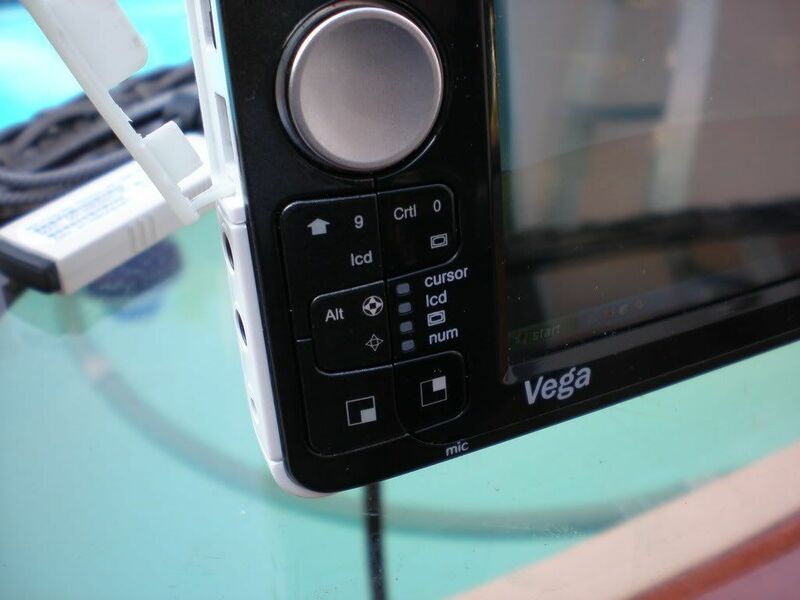 Using the small Vega screen with your finger is not easy and having the stylus all time attached to the unit made the process of using Vega in my car a very easy process. So even when I’m putting this in the category of things that I did not like, I have to confess that I have mixed feelings around the stylus. Vega could be a perfect car navigation system. 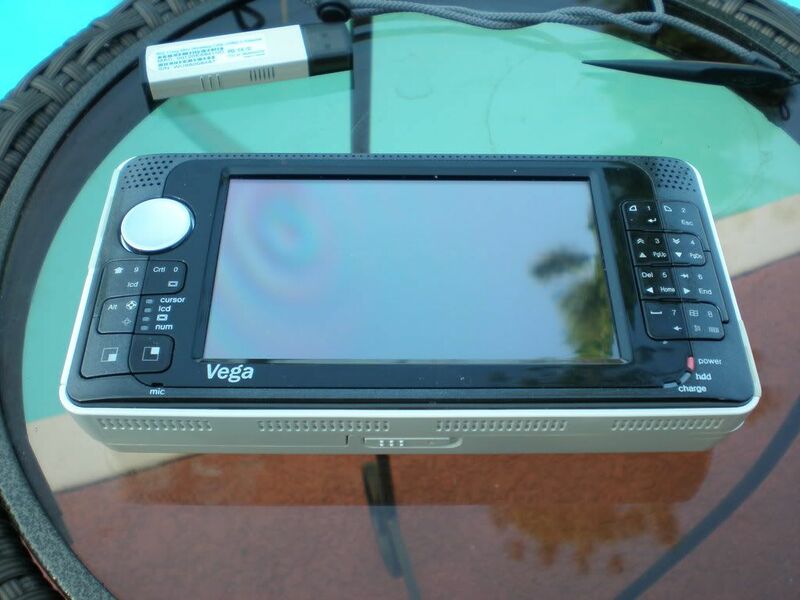 Many GPS System will cost you about the same or sometime half of the price that you will pay for a Vega but with this UMPC you will get a PC, you can have whatever GPS software you like and you can have it running with your whole music library playing in background. You wont find any GPS System more powerful and flexible than a Vega. To have 13 keys with 39 functionality is a big plus for this unit that you wont find in any other UMPC without integrated keyboard. I would like to thank Chippy aka Steve from UMPCPortal.com for sending me this unit for this review. Great review. My Sony Vaio U750P had a similar stylus. I found it fine in a pinch. I love the idea of the Vega, but the lack of wifi or mobile broadband is really a deal killer. That's a good news and I hope I can get in touch with them to review one of the newest units. Sorry Palm, but you got it wrong this time. Bad luck or bad quality? what's your U keys configuration? The Original Q1 supports 2 GB of RAM! Off Topic: Missing English Girl. Why BT should be On the whole time? Seems to me that I was right. Helping Steve to go totally Green!